On the East coast of China, where the mighty Yangtze River meets the Yellow Sea, lies the picturesque Jiangsu Province. The region has a plethora of water bodies like lakes, reservoirs, canals, and crisscrossing rivers giving it a painting-like quality. 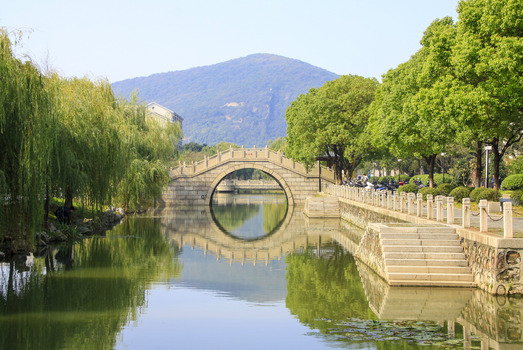 With a well-planned transport system, an abundance of tourist attractions, beautiful landscapes, and a rich history, the Jiangsu Province is a land of plenty. 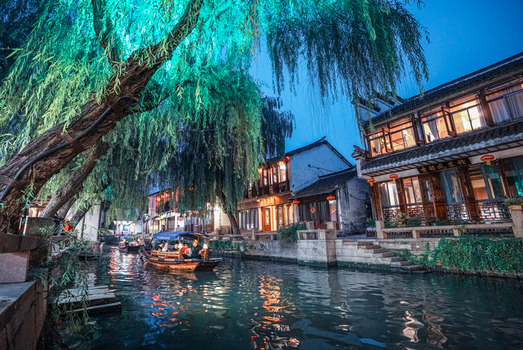 There are many facets to the Province that make it one of the most popular tourist destinations in China. Jiangsu Province is bestowed with diverse natural landscapes. In the north and south of the region, there are vast mountain ranges covered with dense sub-tropical forests and faunae. The central plains have rolling grasslands and paddy fields, with the rivers and canals meandering through them like sheets of silvery satin. The no-dam Grand Canal irrigation system is an engineering marvel which ensures that the capricious Yangtze River does not flood the region and disturb the ecosystem. Lake Hongze and Lake Taihu also contribute to the abundant greenery. Having a humid subtropical climate, the region has heavy rainfall during the late summer season, with occasional storms. The months between January and June are relatively dry, with temperatures ranging between 4oC and 29oC depending on the topography. There are picturesque waterfalls cascading down the mountains. The lakes are teeming with fish. The wildflowers fill the mountain slopes and the central plains with color. These seasonal changes make the Province a real treat for naturalists, photographers, and tourists who come here in large numbers in these months. 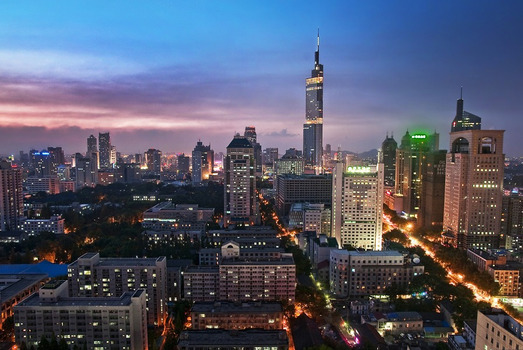 Nanjing City is the capital of the Jiangsu Province. 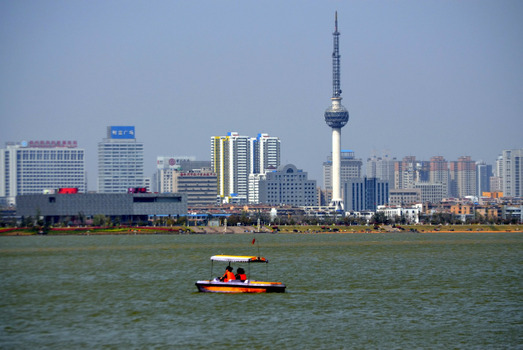 The population of the Province is 80 million, with the maximum concentration being in the capital and other major cities like Suzhou, Wuxi, Zhenjiang, etc. These cities form a major commercial and trading hub. Consequently, Jiangsu is the largest exporter of Chinese electronic goods, textiles, and chemicals in the country. 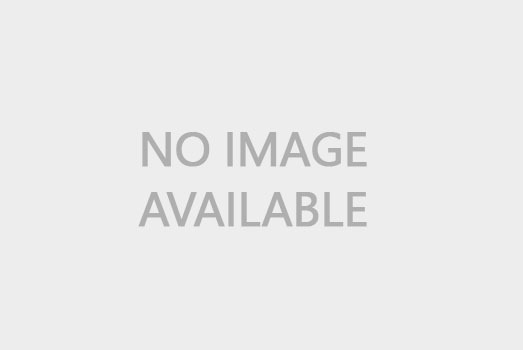 The Province boasts of having the biggest foreign direct investment in China. Jiangsu Province is also a leader in education and scientific research. Many of the cities boast of having a large number of schools, colleges, universities, and doctoral research institutions. With 10 million printed items in stock, the Nanjing Library is second only to the National Library in Beijing. 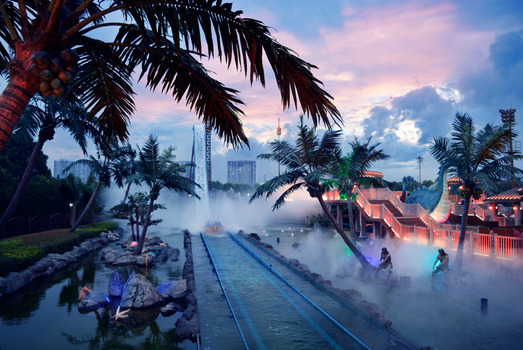 There are a large number of movie theaters, opera houses, music halls, convention centers, Museums, playgrounds, and amusement parks in the region, and especially in Nanjing. 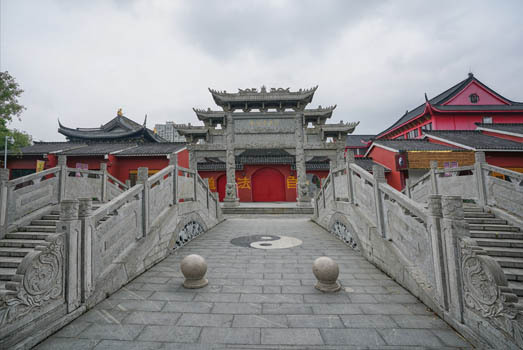 The Nanjing Fuzi Miao (Confucius Temple) is the favorite tourist spot in the city due to its nightlife. 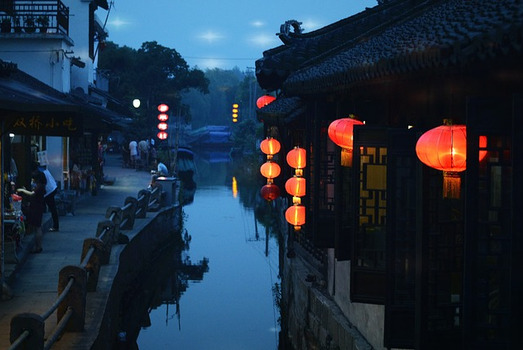 Suzhou is a bustling city and is the perfect base for visiting the towns of Tongli and Zhouzhuang. These ancient water towns are UNESCO World Heritage Sites. Being a region that is rich in natural resources, the Jiangsu Province has a history of human settlements since 6,000 years. 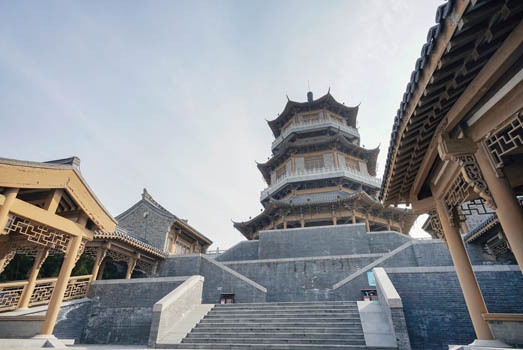 It is the birthplace of the Wu people who set up villages around the Hongze and Taihu lakes. These were probably the earliest settlements known to man. 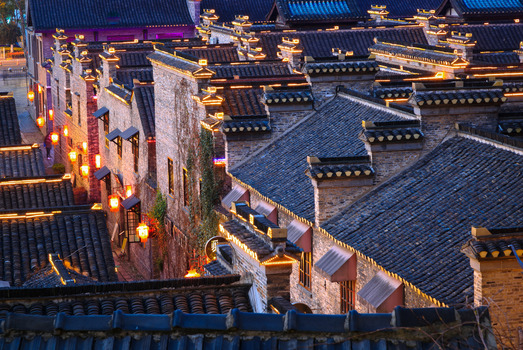 The Province later flourished into a business and trading center during the Han, Ming, and Qing Dynasties. The ancient relics at the various museums showcase the rich historical, cultural, and economic development of the Province. The Nanjing Museum, with over 400,000 ancient relics, has the most magnificent collection of Ming and Qing porcelain artifacts. The Astronomical History Museum in Nanjing has amazing astronomical instruments that date back to the pre-telescope era; showing how advanced their scientific knowledge was in ancient times. The Taiping Kingdom History Museum, which is a beautiful Zhan-garden style museum, has a vast collection of coins, uniforms, weapons, documents, and maps pertaining to the Taiping Rebellion. The Jiangning Imperial Silk Manufacturing Museum, where the ancient method of producing fine silk is still followed, is a popular tourist attraction. The Nanjing Olympics Sports Center hosts the major football league matches among other things. artistic, and cultural heritage of the region. The Jiangsu Province of China has a well-designed three-pronged transport system that interconnects all the major cities and towns. The Lukou International Airport in Nanjing handles both International and domestic air traffic. It serves 106 airlines and is connected with major cities in the other provinces of China as well as cities in other countries. There are nine major airports in the Province that provide ample internal links between the districts. There are nearly seventy trains running at regular intervals between Nanjing and the other cities and towns in the Province. Since the new multi-lane expressway has been constructed, the city of Nanjing is also well-connected by road to all the other regions in Jiangsu. Numerous bridges and tunnels have been built to ensure that these multiple public transport systems work efficiently. 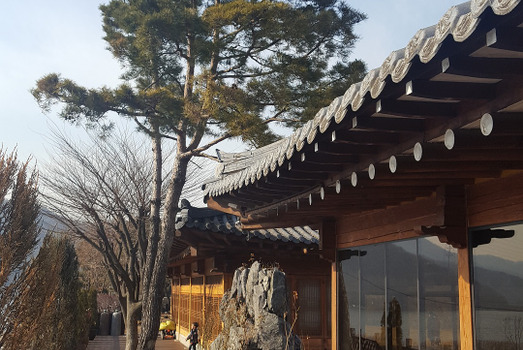 To further make the experience of tourists a pleasant one, there is a wide range of accommodation from upscale holiday resorts and five-star hotels to budget hotels and hostels. Most people in the major cities and towns speak at least a reasonable amount of English. This is especially true for those who are involved in the business of hospitality, travel, and tourism. In the smaller or remote places, English speaking guides and interpreters are available for a fee. This is a great advantage because tourists come in large numbers to admire the beautiful natural landscapes, magnificent cultural monuments, historical sites, etc. in the Province. Jiangsu cuisine emphasizes retaining the original flavor of the main ingredients so their dishes are never overloaded with spices. Also, they prefer braised or steamed dishes over fried food. The specialties in the city of Nanjing are predominantly duck-based. In the central plains, sticky rice and river fish are the staple diet. In fact, the region is referred to as the “fish and rice bowl of China”, which in Chinese terms implies prosperity. Some of the world-famous specialties of Jiangsu Province are the Jinling Salted Duck (Nanjing Duck) and the Yangzhou Fried Rice made with eggs, ham, and green beans. The Wuxi specialties include the Goldfish soup, chicken or pork Xiaolongbao (steamed dumplings or momos), Whitebait omelet, and Fried Gluten Balls that are usually served with meat sauces. 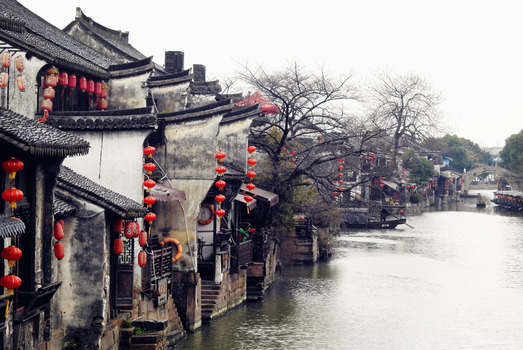 Jiangsu Province, China is a treasure-trove of tourist attractions.